Watch this video... After Haitian-Japanese tennis player Naomi Osaka won the U.S. Open champion, The Japan Times asked people what they think makes a person Japanese. Is it parentage, language, culture or a combination of factors? Naomi Osaka: Is she Haitian, is she Japanese or is she American? After watching the video you will realize that the same prejudices Haitians in Haiti have against Haitians born outside of Haiti in the diaspora, especially when in matters of politics, it is the same problem that Half Japanese men and women are facing in Japan. Just as Haitians born in the diaspora or native Haitians who acquire a foreign citizenship are "not Haitian enough" except when they are sending remittances to family and friends back home. Naomi Osaka is drawing more attention to a prejudice at exists deep inside the Japanese culture. Who would've though that there would be a similarity between Haitians and Japanese, that they are both prejudice against their brothers and sisters. Half or not does it really matter? « Haitians consumes so much pasta, spaghetti and macaroni, why is it not made in Haiti? I am laughing about this - because I have been married to two Haitian women - my current wife is in Haiti. Since I speak pretty fluent Kreole - the Haitians like to call me a "White Haitian" either here among the diaspora or when in Haiti. I had a close "white" friend who was married to a Japanese woman living in Los Angeles. she will be considered as Afro American in US - truly. But in US she will be viewed as black. 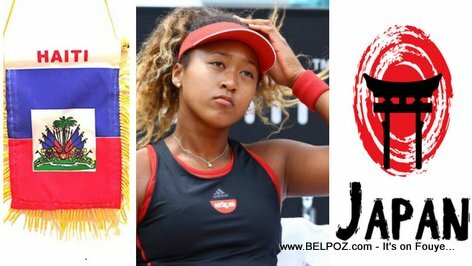 Sanble Haitien ak Japonè prejije menm jan. Naomi Osaka ap soulve question au Japan: Qu'est-ce qui fait quelqu'un japonais ou pas?